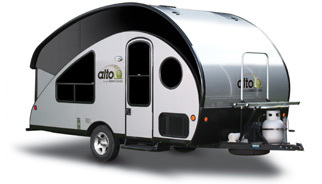 The Alto, by Safari Condo, is one of the lightest, most aerodynamic travel trailers you will ever meet. Hand-crafted in Quebec, with all-aluminum material, seamless roof and independent “Flexiride” suspension, the Alto is unique travel trailer, with a large fan following. Alto is available in two designs: the R-series featuring a retractable roof, that allows the trailer to fit easily into most garages, and F-series, featuring a fixed roof, enclosed bathroom and extra storage. As for towing, it doesn't get any easier! The super-aerodynamic design and low centre of gravity delivers great stability on the road. You can pull an Alto with most vehicles now a days, even most 4-cylinder vehicles! Please call Can-Am RV Centre for more details. 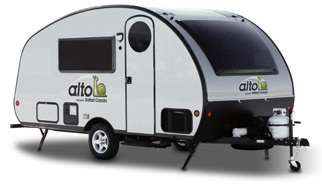 Can-Am RV Centre sells Altos throughout Canada, New York, Ohio, Michigan, Indiana and Illinois. If you live outside these areas please visit the Safari Condo website.